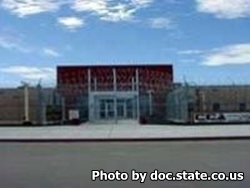 Bent County Correctional Facility is a privately run institution located in Las Animas Colorado. It is contracted through the Department of Correction to incarcerate male offenders. Private facilities are similar to regular Colorado Department of Corrections facilities, except that they are run by a private corporation. Inmates housed at this institution can obtain a GED, and a adult basic education, as well as a college correspondence course. Offenders can get substance abuse treatment at this facility. Some vocational opportunities exist for eligible inmates that help to provide a solid foundation and essential skills the inmate can use after they are released to obtain a job. To be eligible to visit you must have an approved visitation application on file with Colorado DOC. Visiting days are on Fridays, Saturdays and Sundays 10am-3:50pm. Anyone who arrives after 3pm will not be allowed to enter into a visiting session. Visitors can bring quarters or small bills to load up to $20 on a vending machine card.